Under 30 mins to Mark Twain Lake! History greets you as you pass thru the stone entrance gate of this 1917 home! Circular drive leads to the newly refurbished 9'x30' front porch or parking area in rear. 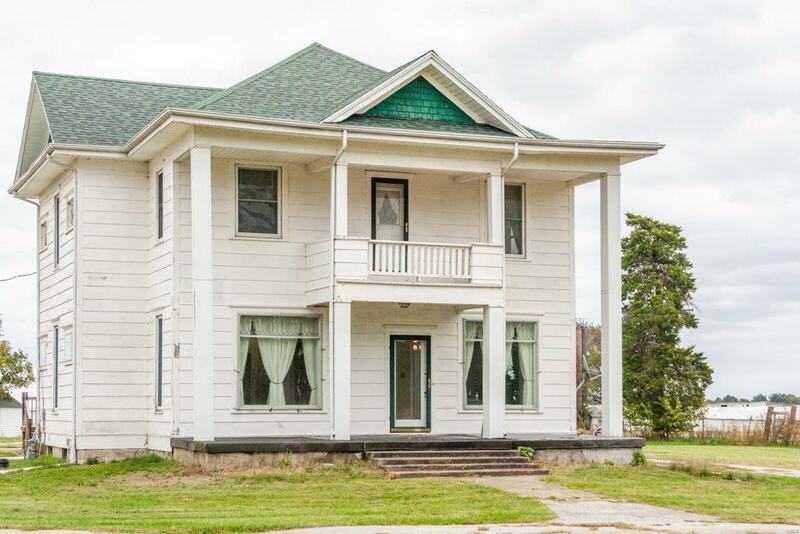 Majestic columns & a second-floor balcony adorn the front of the house. Foyer opens into great-room sized living room with gas-burning fp and beautiful glass-door niches. Tucked neatly to the right of the fp is a reading room w/built-in bookcases and a large window. Beautifully remodeled kitchen boasts an over-sized island, granite counter-tops, custom wood cabinetry and a bunch of pantry space!! Dining room offers beautiful views of the front lawn through the floor-to-ceiling windows or a chance to enjoy the beautiful mill-work along the staircase leading to the 5 bedrooms and sunroom on the second floor. Geo-thermal heating & cooling, exterior sump pump, 4 y/o roof & HOMEOWNER'S WARRANTY make this an outstanding opportunity to own the house you've always dreamed of!